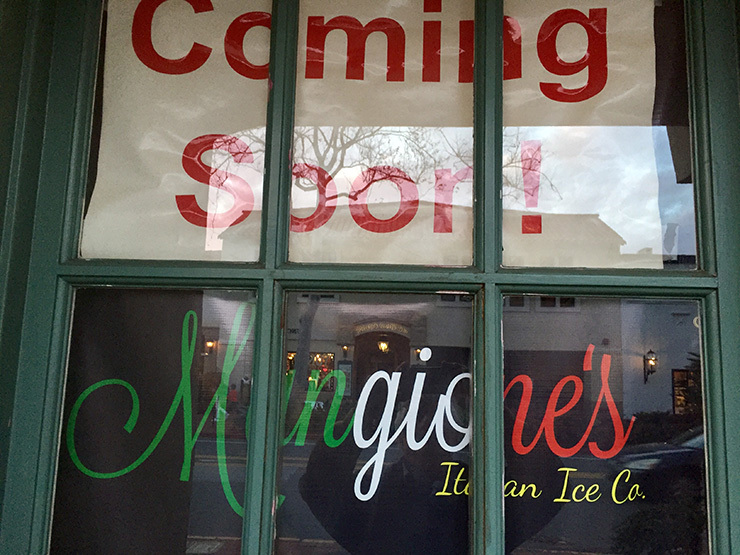 Reader Steve H. says that a sign for Mangione’s Italian Ice Company is now posted in the window at 1222 State Street, the former home of Spoon. I didn’t even know Spoon was closed. When did that happen? It feels like Spoon has been closed forever. At least a year. Mangione’s would do well to keep track of what’s going on at the Granada and Arlington, so they know when hordes of people are going to be exiting a show looking for dessert. Spoon was always seemed closed at peak demand times. I know that Mangione’s is going to be a big asset to the community. I’ve known these lovely people for many years and am so excited for them to open this shop! Gelateria? Im in! Spoons was good but didn’t seem to care to succeed. The name Spoons didnt tell consumer that this place was an Italian gelataria, I found it by chance. This new place screams Italian gelato!